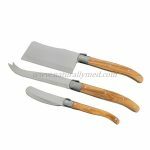 This olive wood cheese knife has a stainless steel blade. 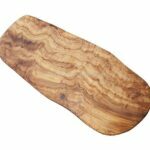 Beautifully patterned by the natural grain of olive wood, it measures 8.7″ total length. 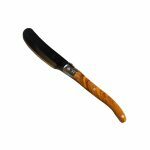 This olive wood cheese knife is a perfect partner for our olive wood cheese boards and makes a great gift. Did you know we also personalize our olive wood boards? 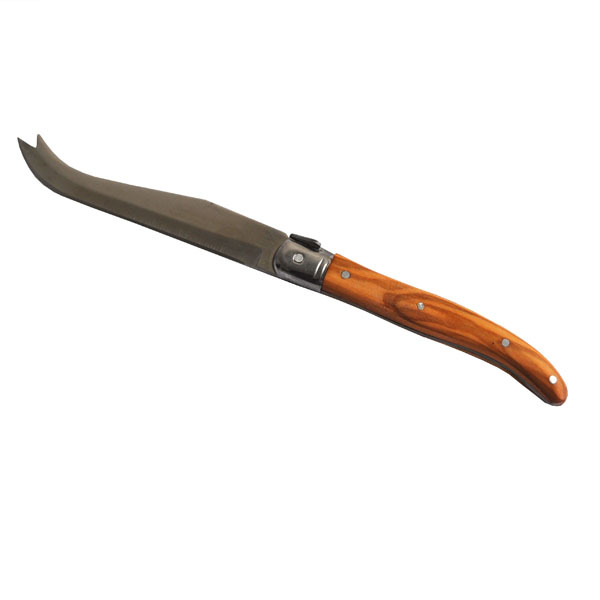 Team one of our engraved boards with this knife to make a stunning gift they will treasure for a lifetime.